The Pacific War Online Encyclopedia: Bellinger, Patrick L.
Patrick Bellinger graduated from the U.S. Naval Academy in 1907. He was an aviation pioneer, earning his wings in 1912 as Naval Aviator #8, and he participated in the Navy's first transatlantic flight in 1919. He also had combat experience, having flown the Navy's first air combat missions at Vera Cruz in 1914. He had risen to command of all scouting aircraft of the Pacific Fleet at the time of the Pearl Harbor disaster. The majority of his seaplanes were destroyed in the attack. He was responsible for sending the message, "Air raid, Pearl Harbor. This is no drill", which was the first notice to the outside world of the attack. 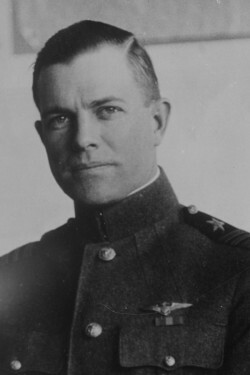 Bellinger's career survived the disaster, perhaps because he had co-authored a report with Air Corps General Fredrick L. Martin warning of the possibility of an air attack on Pearl Harbor. However, while consulting in Washington, D.C., in July 1942, a routine physical examination discovered that he had a mild heart condition, which ended his combat career. He became Chief of Staff to Admiral King the next month. In March 1943, he took command of all antisubmarine patrol aircraft in the Atlantic, and was promoted to vice admiral in October. Bellinger was noted for a sunny disposition that masked a strong sense of conviction. Though not a deep thinker, he was willing to champion the conclusions of more brilliant subordinates.